April showers, brings May flowers. Just in time for Cinco de Mayo! As the weather begins to warm up, there is no better place in South Jersey to roam the boardwalk and beach, other than Hoboken. Take a stroll through this historic town which is making a strong push for one of New Jersey’s top destinations for bars, nightlife, and outdoor festivals. Can you think of a better time of the year to walk the streets in the afternoon sunshine than Cinco de Mayo? 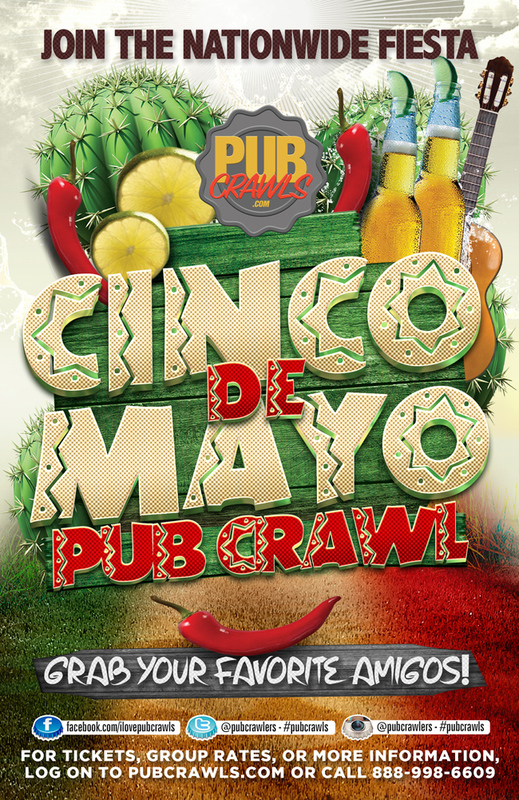 With the annual Cinco de Mayo Pub Crawl pass, attendees will be able to access multiples bars, all within walking distance, while enjoying the best drink specials on your favorite margaritas, sangrias, and tequila shots! At registration, our event staff will distribute PubCrawls.com wristbands as well as a full guided crawl map that will include all of the best drink specials and venues throughout Hoboken. Scour the town on May 5th with your closest amigos while enjoying an ice cold Corona. The summer is upon us and we should welcome it in style. Mexican or not, we can all rejoice in the celebration of the battle of Puebla. Make your mark on the top rated Spring event of 2019 in Hoboken.